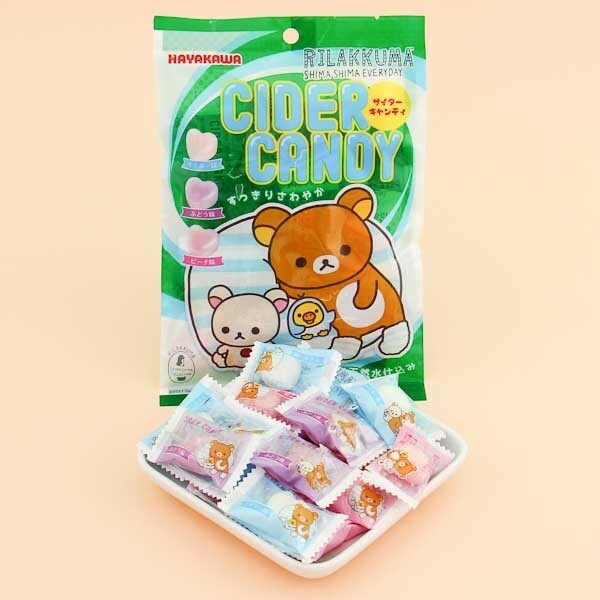 These cider candies are the favorite food of Rilakkuma, the adorable teddy bear from Japan by San-X. 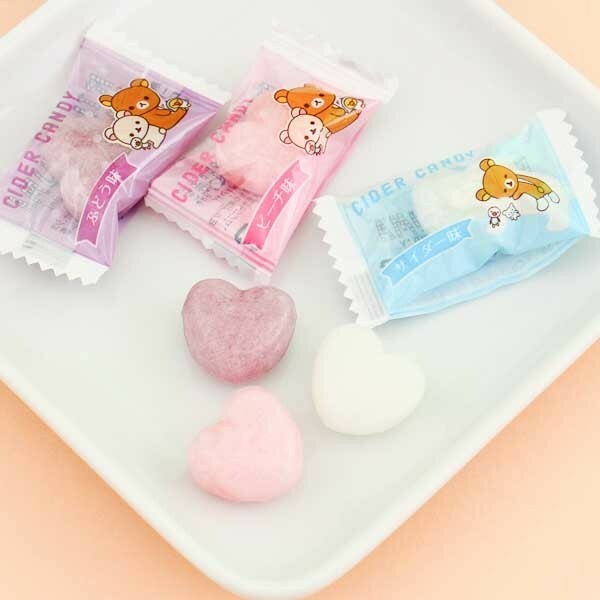 The hard candies are heart-shaped and come in 3 flavors: cider, grape, and peach. The package is decorated with super cute Rilakkuma and his adorable little friends. The individually wrapped candies are easy to carry with you and share with your friends! Yummy!